The leader of the indigenous people of Biafra (IPOB WORLDWIDE), MAZI NNAMDI KANU, is a personality words can't define. Countless number of people have been cured from mental slavery through his cogent and factual points on Radio BIAFRA with effects to the fact that many colonized countries mostly in Africa has come to realize the need for self rule and Indigenous people agitating for the demolition of colonial boundaries which they believe has a divisive effects on the people. Recall that after the arrest of Nnamdi Kanu on the 14th of October, 2015, many thought that was he's end. President Muhammadu Buhari thought, he has finally captured and caged the man with so much knowledge and wisdom that has sinked Nigeria to the ground. Buhari thought Nnamdi kanu's voice can never be heard again but little did he know that Nnamdi kanu was no ordinary man. His wisdom alone was so high that Nigeria DSS and SSS couldn't comprehend most of what he talked about. Some of the predictions Nnamdi kanu made has kicked off one after the other. They are already coming to light. Even in his prison cells, Nnamdi kanu's wisdom and knowledge knows no boundaries. This has left soo many in awe! 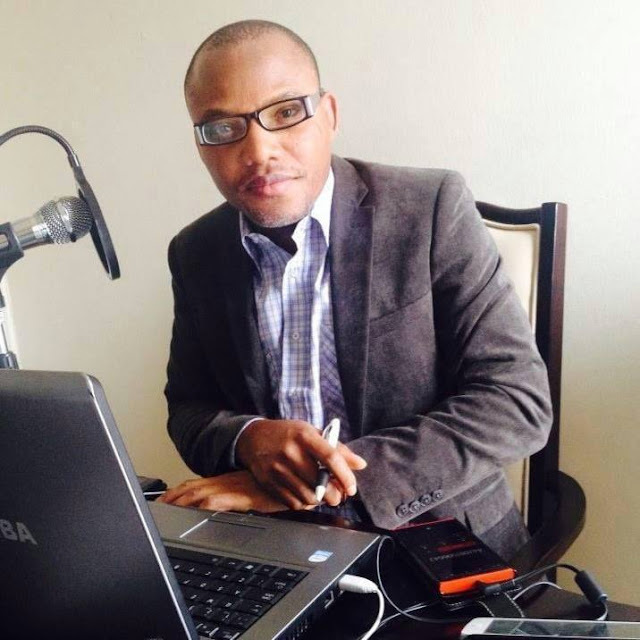 Questioning #NNAMDIKANU's source of intellect. In fact, Nnamdi Kanu has accomplished more for Biafra Since he was illegally arrested compared to when he wasn't. He now has Nigeria at his finger tips and because of that, President Buhari has ran out of strategies to deal with Nnamdi Kanu and the agitation for Biafra. Even the so-called secret Trial and Masked Witnesses issued by Puppet Binta Nyako on Nnamdi Kanu won't hold water because both Binta and Buhari are not even learned enough to jail the leader of the Indigenous people of Biafra Nnamdi Kanu. Nnamdi kanu's wisdom and knowledge on how to handle the situation of things since the movement of Biafra began is very commendable. We the Indigenous people of Biafra have learnt a lot in a short period of time through his guidance and teachings. Even Countless critics, philiosophers, scholars, poets, religious leaders, even political elites in southeast and indeed Nigeria has been inspired through his wealth of knowledge. Evidenced in books they have written and articles as well as spoken words. Mazi NNAMDI KANU, is an institution without fear nor favour, with deep hatred for bribery and corruption. Unlike what is obtainable in nigeria institutions. Mazi Nnamdi Kanu and the entire IPOB WORLDWIDE is focused and purpose driven, their objective is to restore BIAFRA. Nnamdi Kanu as the leader of IPOB WORLDWIDE has shown to the world that the command and control structure of IPOB has a unique tie with the personality called NNAMDI KANU as well as every hard-core Biafran. NNAMDI KANU now runs in our DNA. The 70million Biafrans all over the globe are not just ordinary people, but they are a clone of 70million Nnamdi Kanu walking around the earth. So you tell me, how can Biafra be stopped? Arresting (one) Nnamdi Kanu won't stop Biafra because Nnamdi Kanu is not one but 70 million. Biafra is an Idea that has been implanted in the mind and heart of every Biafran both born and unborn. So there is no stopping Biafra. It's not just possible. We the Indigenous people of Biafra will continue to stand up and fight for our rights to self-determination and our rights to freedom. There's no stopping us now because we are now on the move!